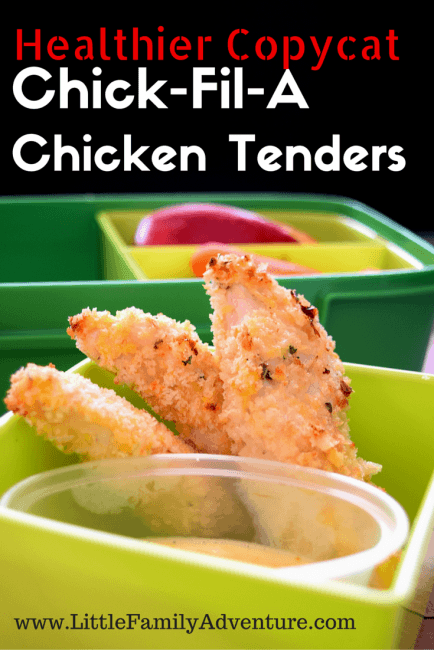 You will LOVE this copycat recipe for Chick-Fil-A Chicken Tenders. It tastes so much better than the original! Plus the recipe is so easy that it’s perfect for kids to make. Enjoy this healthier version of a family favorite! It’s always great to find copycat recipes that are better than the original and are healthier too! 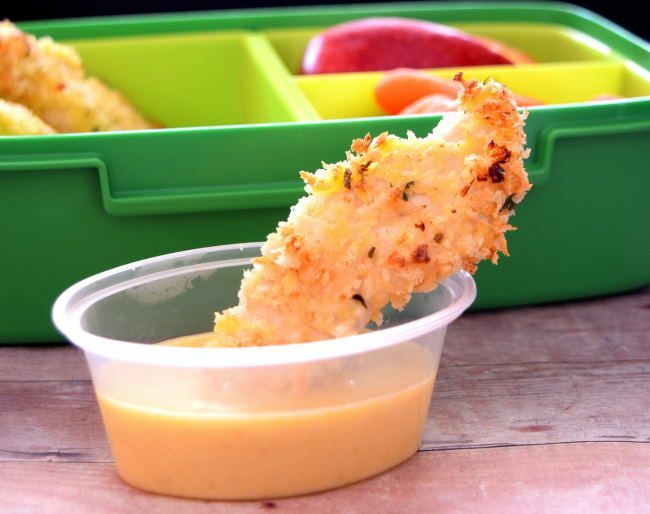 You’ll find that these recipes for Chick-Fil-A Chicken Tenders and Honey Mustard Sauce are little different than the original, but you when you taste them you won’t care. They are that good! When you order Chick-Fil-A Tenders at the restaurant, you get deep fried tenders. Since we rarely deep fry anything in our house, we are baking these tenders instead. When you recreate these at home, you know exactly what’s in your food and you can make it a little healthier. Making this one little switch (baking versus frying) cuts down on the fat and the calories. Plus I don’t know that I would let my kids deep fry anything. I would be afraid they would burn themselves. 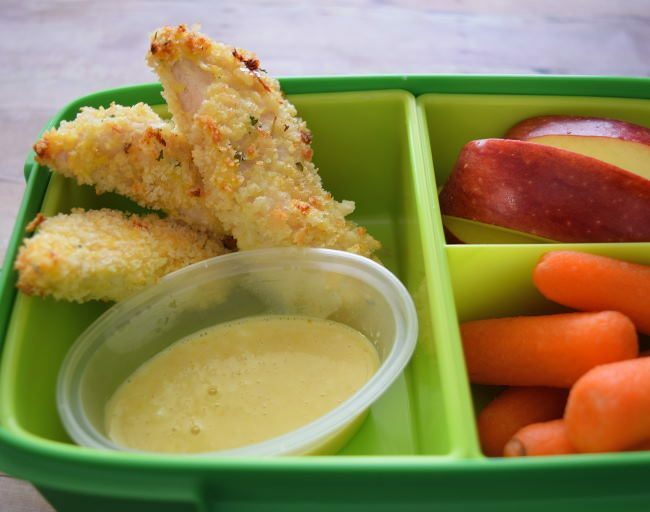 My daughter created this copycat recipe for Chick-Fil-A Tenders and Honey Mustard sauce. I’m so proud of her desire to learn how to cook. She has become quite a proficient home cook and an AMAZING baker! Her Buttermilk Biscuits taste just like my grandmother’s. I didn’t learn how to cook until I was married. So I’m adamant that all of my children learn to cook. 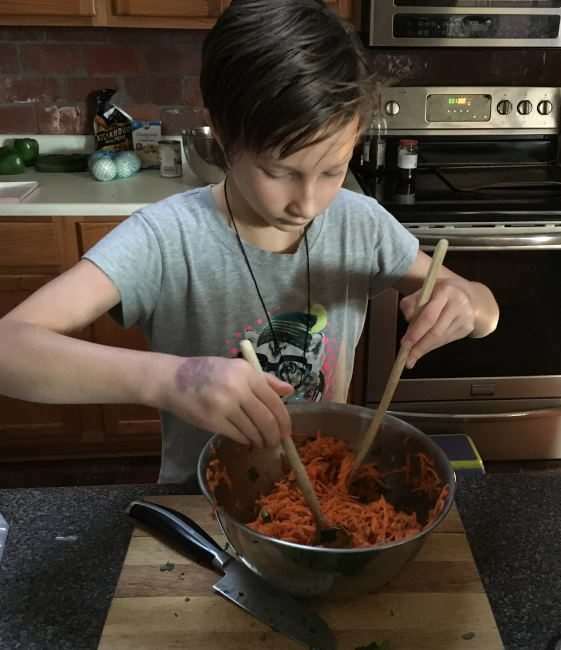 Why is it important to teach your kids to cook? When hungry, they can make healthier choices rather than grabbing something out of a box or in a bag. When they become old enough, they can help you cook for the family. It is fun to cook together as a family. It’s a great bonding time! My daughter makes these Chick-Fil-A Chicken Tenders with a secret ingredient. You’ll never guess what it is. I think it makes all the difference and I’ll share it with you.